YOUR ADVENTURE START WITH US! THE ZIP LINE NOW OPEN FOR THE SEASON!!! 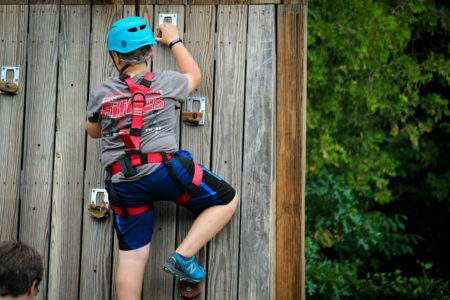 Ropes Challenge Course and Rock Wall to open in mid-May. 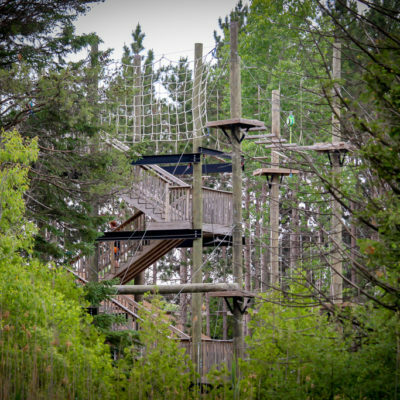 The Adventure Park is designed to allow all participants the ability to choose their own challenge. The most important considerations when designing the course were safety and maximizing the participant’s experience. 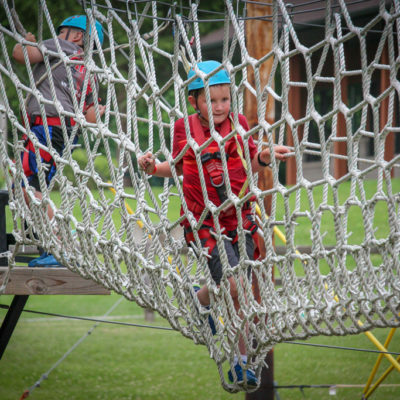 Specialized safety systems have been incorporated into the Adventure Park design to provide a state-of-the-art safety system that is seamless and allows for a safe and comfortable experience. 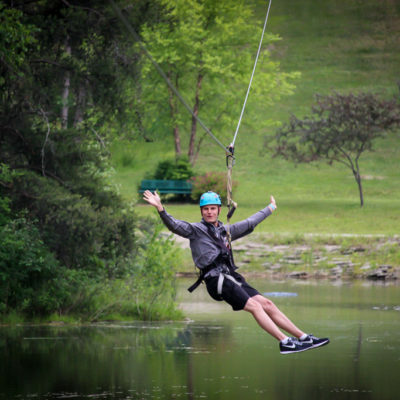 The Dual “Racing” Zip Lines provide participants an exhilarating and extreme experience. The zip lines are side-by-side, 1,000 feet long, that launch from the top of the existing 50 foot tall historic fire tower and end on a landing deck near the entrance of the zoo. The zip lines are a “participant passive” activity, meaning that the participant is not required to have any interaction or perform any critical functions throughout the experience, and therefore most people can participate! The course is designed with 17 different challenging elements. Participants will be clipped into a user-friendly “Smart Snap” safety system at all times while they are off the ground. The “Smart Snap” safety systems will be “participant active,” which means the participant will be responsible for transferring their own safety lanyard from one element to the next. This allows the participant to be in control of their adventure and “own” their experience, while minimizing any chance for the participant to become un-clipped at any point. Participants will have the ability to challenge themselves through 17 different elements on three levels of varying difficulty. 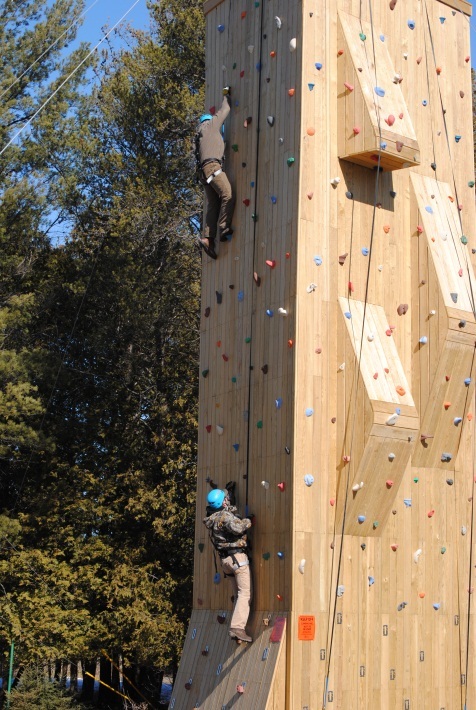 The Climbing Tower allows participants to attempt to summit the three-sided, 40 foot climbing structure. On two sides of the structure are climbing walls with contours to allow for variable levels of difficulty. The third side of the structure has a hanging 32- by x 8-foot cargo net. The climbing tower is open to all participants over the age of 6. After an orientation, participants will be able to climb the tower, choosing which route(s) they want to conquer. Participants will get to try their hand at three climbs.